So first things first- installe a Java Development Kit (JDK), which is a software development environment used for developing Java applications and applets. It includes the Java Runtime Environment (JRE), an interpreter/loader (java), a compiler (javac), an archiver (jar), a documentation generator (javadoc) and other tools needed in Java development. You will need to know this when setting up a project in IntelliJ for example. JAVA_HOME is just a convention, usually used by Tomcat, other Java EE app servers and build tools such as Maven to find where Java lives. OS name: "mac os x", version: "10.10.5", arch: "x86_64", family: "mac"
At the next moment you will be asekd to install Xcode. This is the a complete developer toolset for building apps that run on Apple TV, Apple Watch, iPhone, iPad, and Mac. It includes the Xcode IDE, simulators, and all the required tools and frameworks to build apps for iOS, watchOS, tvOS, and OS X (it also contains GNU Compiler Collection-gcc). Download the idea-15.dmg OS X Disk Image file. Mount it as another disk in your system. Go to https://nodejs.org/ and download the latest version for OS X (x64). Double click on the node-v4.2.2.pkg file (latest stable version at the writing of the post) and follow the installation instructions steps. Go to Downloads page – http://dev.mysql.com/downloads/mysql/, download the Mac OS X 10.10 (x86, 64-bit), DMG Archive and follow the steps described in the installation guide. 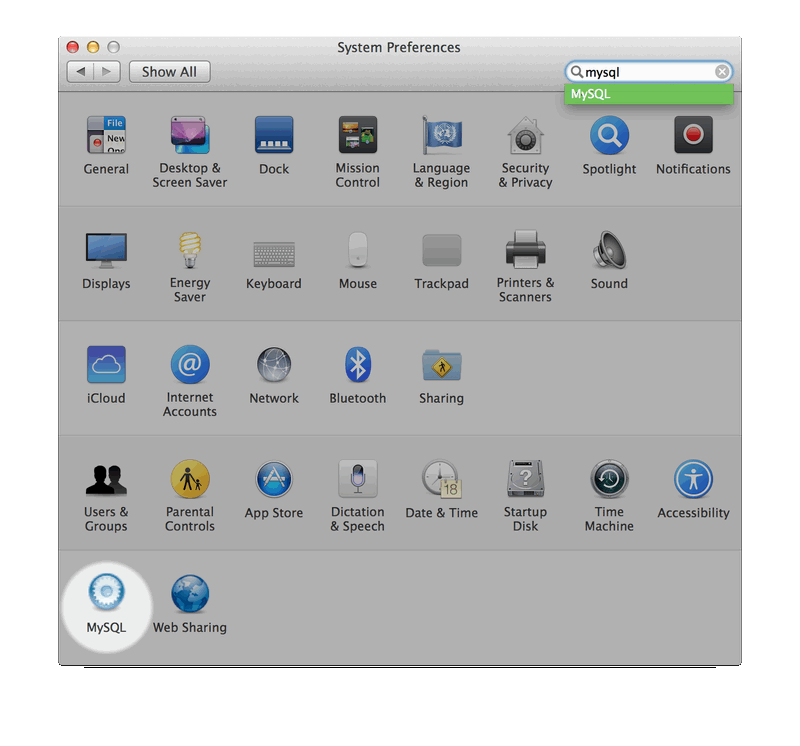 This preference pane is installed by default, and is listed under your system’s System Preferences window, which can be found under Applications. If you want to have also a GUI on top of it I recommend you install the MySQL Workbench that can be also found in the downloads section. Installation instruction is the same as the MySQL server installation. Open Terminal, then go to the Terminal menu -> Preferences, choose the Settings tab and set the Pro theme as the default. Enable New Terminal at Folder. There’s also New Terminal Tab at Folder, which will create a tab in the frontmost Terminal window (if any, else it will create a new window). These Services work in all applications, not just Finder, and they operate on folders as well as absolute pathnames selected in text. You can even assign command keys to them. Services appear in the Services submenu of each application menu, and within the contextual menu (Control-Click or Right-Click on a folder or pathname). The New Terminal at Folder service will become active when you select a folder in Finder. You cannot simply have the folder open and run the service “in place”. Go back to the parent folder, select the relevant folder, then activate the service via the Services menu or context menu. In addition, Lion Terminal will open a new terminal window if you drag a folder (or pathname) onto the Terminal application icon, and you can also drag to the tab bar of an existing window to create a new tab. This is the command-line equivalent of dragging a folder/pathname onto the Terminal application icon. ssh-keygen generates, manages and converts authentication keys for ssh(1). ssh-keygen can create RSA keys for use by SSH protocol version 1 and DSA, ECDSA, ED25519 or RSA keys for use by SSH protocol version 2. The type of key to be generated is specified with the -t option. If invoked without any arguments, ssh-keygen will generate an RSA key for use in SSH protocol 2 connec-tions. When asked for a passphrase you can enter a passphrase to add it to the key. If you choose to add a passphrase every time you want to use your key with ssh, you’ll have to enter this passphrase. It is a little bit more inconvenient, but more secure. Your identification has been saved in /Users/ama/.ssh/id_rsa. You can now use the generated id_rsa.pub key and upload it to the systems you want to connect to over ssh. By default, Mac OS only allows users to install applications from ‘verified sources.’ To change that open the System Preferences > Security & Privacy > General and select “Allow applications downloaded from: Anywhere“. Follow this link, to see a more detailed description with pictures. A smoke test to verify if everything installed is functioning properly “together” is to generate an application with JHipster and push it to a git repository. JHipster is a Yeoman generator, used to create a Spring Boot + AngularJS project. For any suggestions please leave a comment. Thank you.